Marilyn Parrish, a resident of Plum Creek Village and a commissioned Notary Public, is offering to provide free Notary services to any current resident of the Village. As access to a Notary Public may not always be convenient (weekend, holidays and after normal business hours), Marilyn is making her services available basically anytime she is at home. You may contact Marilyn on 331-7222.
documents, take affidavits, and administer oaths. A Notary Public is appointed for an eight year term. 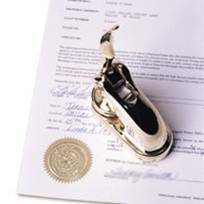 The jurisdiction of a Notary Public is statewide, but no Notary Public can be compelled to act outside of the Notary's home county. Notarization is important as an attestation that the signature or signatures on a document have been witnessed, and the parties identified by an impartial public official. Because transactions may be between virtual strangers, notarization serves to protect all parties by assuring their identities. Notaries are expected to be impartial, unbiased and without a financial interest in the agreements they notarize.